Jazz steps give you the opportunity to strut your stuff on the dance floor solo, and is a great way to add flair to your partner dancing. The best way I’ve found to learn Jazz Steps is through learning the Jazz routines, so here’s some popular jazz routines every swing dancer should know! Key Song: Jimmie Lunceford’s ‘T’aint What You Do (popularised by Frankie Manning), Stompin’ at the Savoy (Benny Goodman), and Tuxedo Junction (Erskine Hawkins). And boom, the music changes and it’s old familiar. The room explodes into a communal jazz routine. Family discos have certain songs, old familiars that will get the whole room up and happily dancing to the same steps: The Macareena, Saturday Night, The Cha Cha slide. In the Swing Scene, of course, we have The Shim Sham. Legendary dancers such as Frankie Manning & Norma Miller from the swing era (the actual era) have played no small part in keeping this part of swing history alive by making it popular at dance events. The Jitterbug Stroll is actually a recent addition to the jazz steps world. English swing dance teacher Ryan Francois choreographed the routine in 1992. Check out The Swing Era performance group’s Jitterbug Stroll! Where can I learn these Jazz Routines? Looking to go swing dancing in Birmingham? 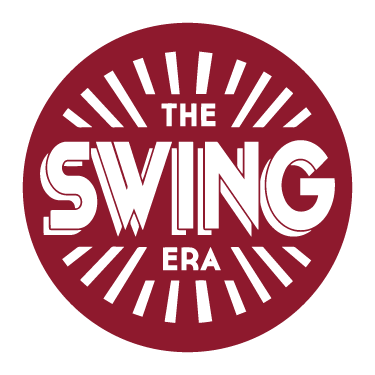 Join The Swing Era’s Performance Group on Mondays 9.15pm (after the level 2 class at St. Annes Parish Centre) to learn or perfect your Jazz Routines!